This past week has been a whirlwind of new projects, collaborations, and planning of juggling the work schedule. We’ve just started the season at Vineyard Golf Club, where I work as a Baker/Cook and create dessert recipes for our members, from the classic Profiteroles to more unique versions of a PB&J using peanut butter ice cream and roasted red grapes. One of the dishes that I’m excited to serve up this year at the club is this Dark Chocolate & Pomegranate Bread Pudding, a luscious chocolate custard swirled with Skylake Ranch’s Pomegranate Fruit Spread. Chocolate and Pomegranate? Yes! The sweet chocolate is the perfect canvas for the tart pomegranate, making it a match made in dessert heaven! Where’s Skylake Ranch you ask? It’s a pomegranate orchard located between Chico and Durham in Northern California and produces enough pomegranates to make all of the gorgeous products above. Everything from fruit preserves, grill sauce, syrups, and juice, they’re squeezing the fruit to its last drop, and all to your health! Owned by Gail Brown at the helm of the pomegranate ranch, with her son Chris, who is the operations manager, and his wife Sarah, the official taste creator. Skylake Ranch Pomegranate Products are all made with ingredients that are easy to pronounce, made with natural cane sugar. All of the products, except the marinade which has soy sauce in it, are gluten free and vegan, making them available to a wider range of customers able to purchase them. Zero pesky pesticides or high fructose corn syrup in them at all! This recipe showcases the use of the fruit spread, a tart and sweet combination that pairs well with the dark chocolate. Swirled throughout the custard, it delivers an acidic but much needed break between all the bread custard sweetness. In a small saucepan over low heat, whisk milk, sugar, vanilla, cocoa powder, and butter. Simmer until butter has melted. In a separate bowl, beat eggs and baking powder. Temper chocolate milk into eggs, whisking quickly to not cook the eggs. Add torn bread and with whisk, mash to have smaller bread pieces. Pour half into buttered dish, swirl in 2 tablespoons of Pomegranate spread, and then top with more bread pudding batter. Finish with the rest of the pomegranate, swirled on top.Bake until set, about 35 minutes. Cool and chill in the fridge overnight. To serve: scoop into small bowl, top with whipped cream and chocolate shavings. You can also drizzle with caramel sauce, or top with fresh fruit. 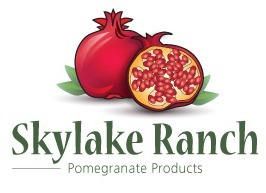 Want to try Skylake Ranch Pomegranate Products yourself!? Enter to win the ENTIRE line of products from Skylake Ranch, which includes: fruit preserves, syrup, marinade, grenadine, grill sauce, and juice! Visit the Skylake Ranch site and tell me which pomegranate product you’d love to try! The comments are the official entry, there is no purchase necessary, void where prohibited. US mailing addresses only. One (1) winner will be chosen randomly. Prize will be shipped by Skylake Ranch. The contest ends Sunday, May 27th, 2012 at 11:59 pm Eastern time. The winner will be announced on Monday, May 28th via email and will have 48 hours to respond before a new winner is chosen. Disclaimer: I received their product line free of charge in order to facilitate this recipe and review. No monetary compensation was exchanged and as always, my opinions are my own and I’ll only recommend a product I love and use in my own kitchen. I “liked” and do like your Hoagie Roll recipe on Facebook. I am following SkyLakeRanch on Twitter. I’d like to try the Pomegranate Fruit Spread. I am kind of a toast geek, I know it seems neanderthal but I it’s something I have always enjoyed. A nice wheaty, grainy bread, toasted yet still pliable with a drizzle of raw honey and a thin layer of preserves…Simple and elegant. I’d like to try the fruit spread on an English muffin or toast. Voted for hoagie rolls too! Thanks! The Pomegranate Fruit Spread looks amazing! I’d love to try the Pomegranate Balsamic Grilling Sauce. Would love to try this Chocolate pomegranate bread ! Oh my gosh, the photo is killing me! Would love to try the Pomegranate Balsamic Grill Sauce! Voted for your Mustard Hoagie Rolls – thanks so much! Pomegranate fruit spread looks divine! I love berry jam so this would be a winner in my book! Liked your Facebook post Mustard Hoagie Rolls too! Thanks for a tasty sweet giveaway! I would love to try the Pomegranate fruit preserves on my pb & jelly sandwiches! Fabulous.. I love chocolate (of course) and pomegranates… what a great combination. Love to make this. Great photos, too! I am following SkyLakeRanch on Twitter! That is one delicious looking bread pudding! I love that it has pomegranate fruit spread. Will have to try this soon. I like your hoagie rolls. Balsamic grill sauce sounds awesome. It’s grilling season! I followed Skylake Ranch on Twitter. Fun giveaway Nelly! I’m intrigued by the balsamic, yum! And I follow you on Google Friend Connect – have a great weekend — I know you’ll be working hard! I want them all! But the fruit spread – looks the best! 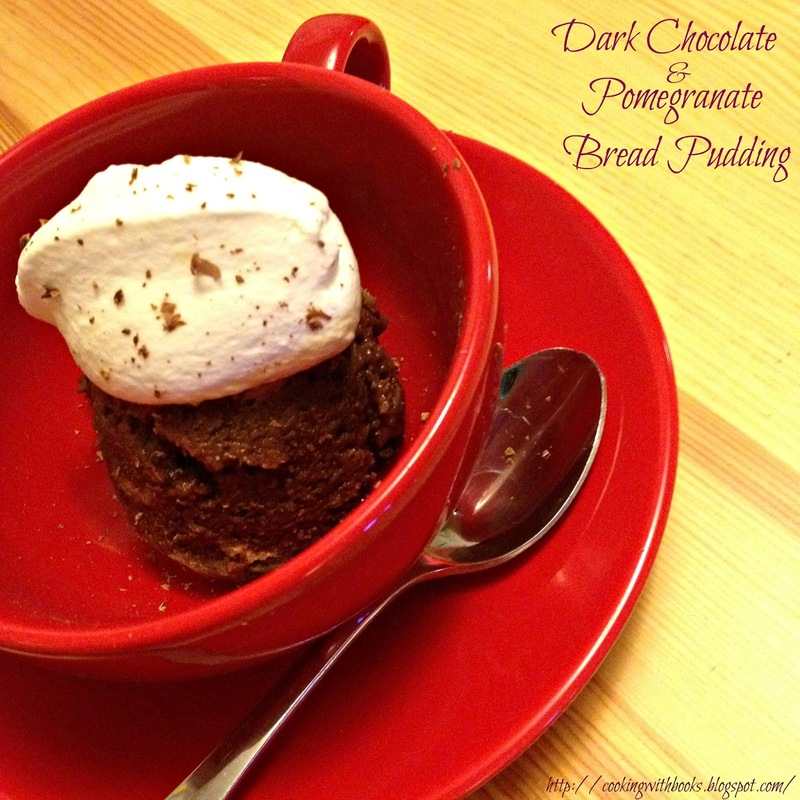 Sending this recipe (your link) to my bestie who collects bread pudding recipes! I follow Skylake on twitter. Too hard to choose just one! I want them all! The fruit spread sounds right up my alley! I had no idea pomegranates grew in NC, too cool. What a fabulous flavour for bread pudding. And those pomegranate products look delicious! I love that you get to create dessert recipes at your job! How cool is that?! I’d never think to combine chocolate and pomegranate, and I have no idea why after reading this…it looks and sounds so good!